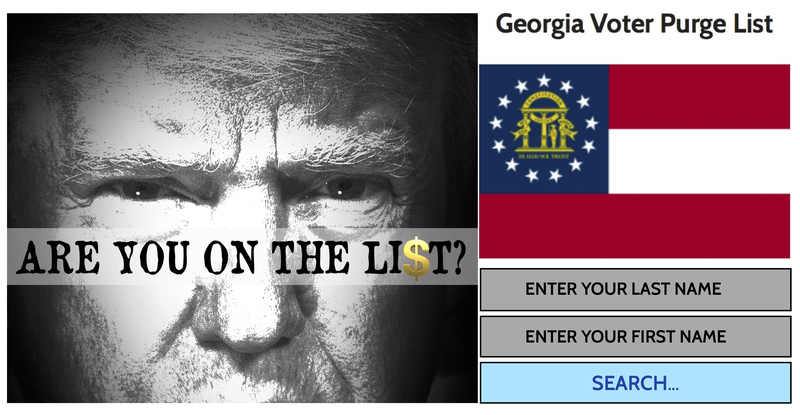 1 in 10 Georgia voters purged from voter rolls by state secretary Brian Kemp… | Get Off My Lawn!! Why did I wait to release endangered voters’ names until days before the last day of registration? Because Kemp dragged his feet on my request for the purge lists until literally the last hours before of the 90-day deadline imposed by the law.